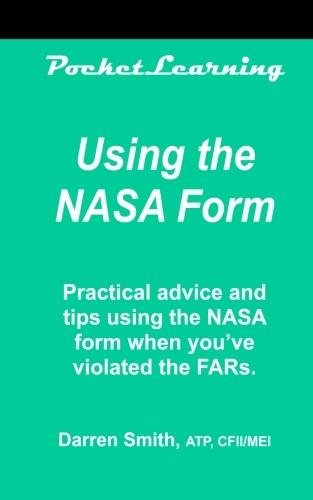 The NASA form is more important than ever. A few short months ago, a new policy came into being which is affecting GA pilots. Since January 30, 2012, controllers are now required to submit Mandatory Occurrence Reports (MOR) if pilot actions were a factor in an ATC safety "occurrence." Both types of reports are sent to a regional quality assurance service center for processing. The report then goes to the FSDO for handling if a pilot deviation occurred. The overall effect has been to cause an increase in the number of pilot deviations. If you become aware of a deviation, file a NASA report within ten calendar days. As airspace becomes more complicated, and ATC looking hard at pilot deviations, your ticket is at risk. 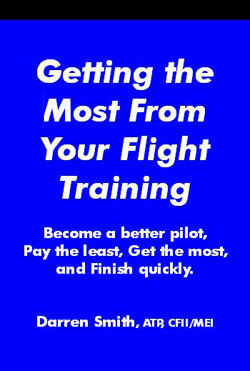 Limited special offer, Get Pilot's Rules of Thumb checklist FREE when you purchase this item - limited time offer Limitations: Void where prohibited. While supplies last. Subject to change without prior notice. Single copy sales only. The Administrator of the FAA will not use reports submitted to the National Aeronautics and Space Administration under the Aviation Safety Reporting Program (or information derived therefrom) in any enforcement action, except information concerning accidents or criminal offenses which are wholly excluded from the program. Note: Reports discussing criminal activities or accidents are not de-identified prior to their referral to the agencies outlined above. time-critical information which, after de-identification, will be promptly referred to the FAA and other interested parties. Each Aviation Safety Report has a tear-off portion which contains the information that identifies the person submitting the report. This tear-off portion will be removed by NASA, timestamped, and returned to the reporter as a receipt. This will provide the reporter with proof that he/she filed a report on a specific incident or occurrence. The identification strip section of the ASRS report form provides NASA program personnel with the means by which the reporter can be contacted in case additional information is sought in order to understand more completely the report's content Except in the case of reports describing accidents or criminal activities, no copy of an ASRS form's identification strip is created or retained for ASRS files. Prompt return of identification strips is a primary element of the ASRS program's report de-identification process and ensures the reporter's anonymity. All information that might assist in or establish the identification of persons filing ASRS reports and parties named in those reports will be deleted, except for reports covered under paragraphs 7a(l) and 7a(2). This de- identification will be accomplished normally within 72 hours after NASA's receipt of the reports, if no further information is requested from the reporter. The Administrator of the FAA will perform his/her responsibility under Title 49, United States Code, Subtitle VII, and enforce the statute and the FAR in a manner that will reduce or eliminate the possibility of, or recurrence of, aircraft accidents. The FAA enforcement procedures are set forth in Part 13 of the FAR (14 CFR Part 13) and FAA enforcement handbooks. presence of any factors involving national interest, such as the use of aircraft for criminal purposes. the person proves that, within 10 days after the violation, he or she completed and delivered or mailed a written report of the incident or occurrence to NASA under ASRS. See paragraphs 5c and 7b. Note: Paragraph 9 does not apply to air traffic controllers. Provisions concerning air traffic controllers involved in incidents reported under ASRS are addressed in FAA Order 7210.3.